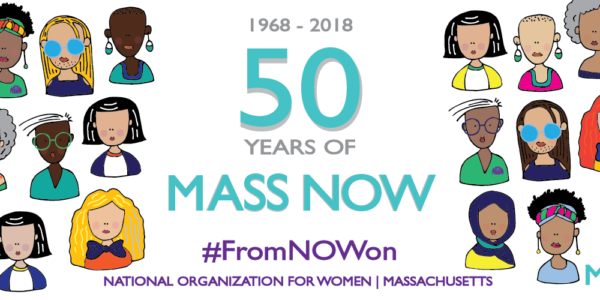 #FromNOWon – Celebrating 50 Years of Intersectional Feminism » Mass NOW INC.
Will you join us in honoring 50 years past and 50 years to come by making a pledge to this unique campaign today? Throughout this campaign, we will be highlighting 50 actions that promote, strengthen, and grow the movement for intersectional feminism across our social media platforms and email newsletters. Actions like believing women when they speak about their lived experiences and calling out sexist and racist comments. We’ve also commissioned a local artist and graphic designer, Janine Kwoh, to design original, commemorative 50th anniversary car magnets and a limited-edition print featuring the full list of 50 Feminist Actions. We are launching #FromNOWon to inspire celebratory and impactful action and giving, together, for intersectional justice and ensuring a more inclusive and equitable Massachusetts for generations to come.